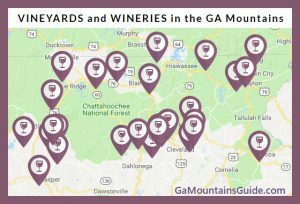 Odom Springs Vineyards is a family-owned estate winery located in the rolling hills of north Georgia in the Upper Hiawassee Highlands AVA. 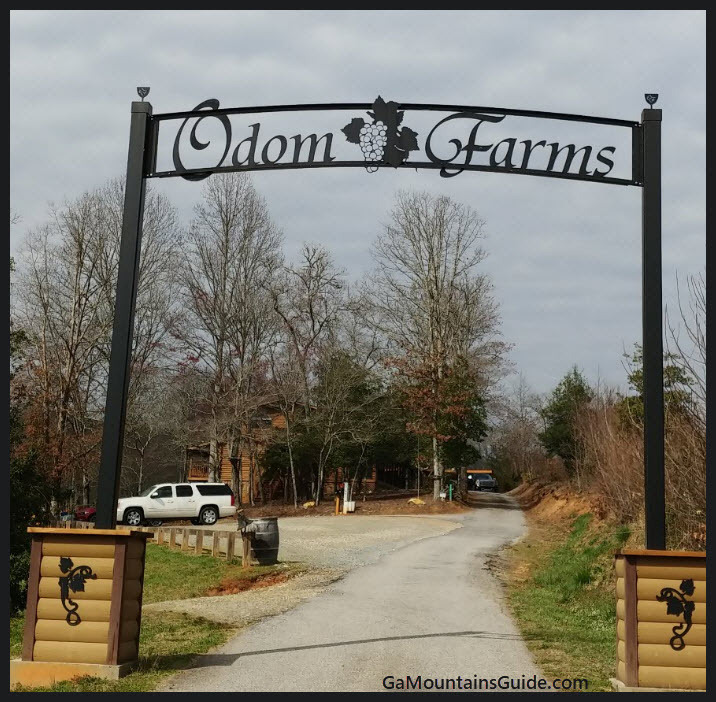 Situated on Sharptop Mountain alongside Highway 515, Odom Farm is home to the winery and tasting room. 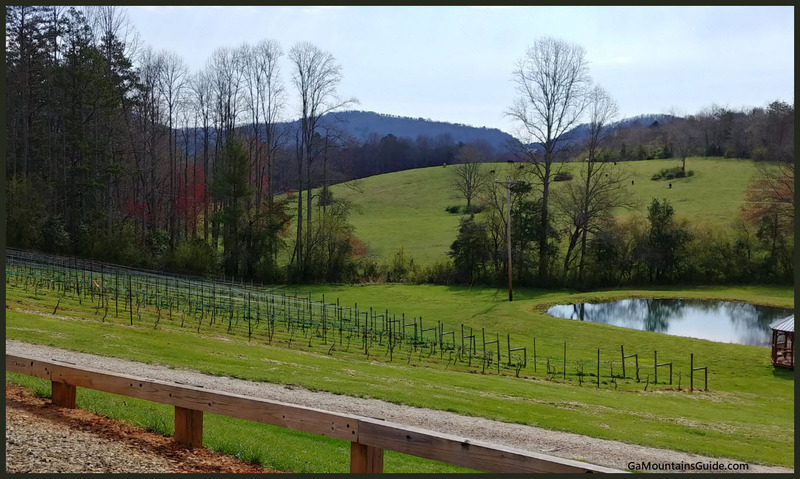 Although you must venture down a remote one-lane road drive to reach the vineyard, the main Highway (515) can be seen from the tasting room. A covered deck attached to the tasting room building has room to enjoy the vineyard views. There is also a covered patio and gazebo next to a pond. 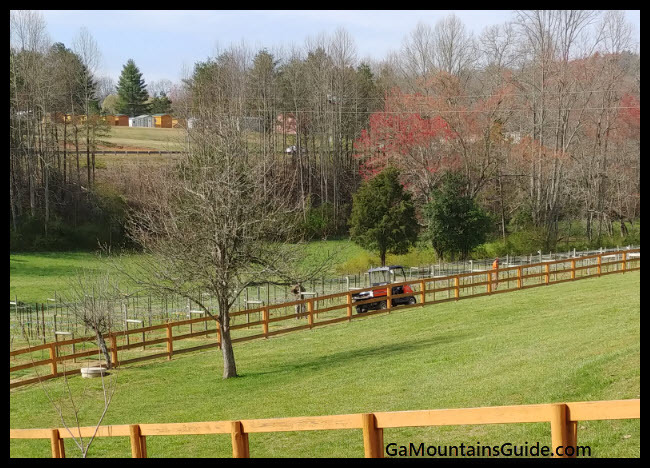 Scenic mid-range views of vines, pond, and nearby mountains.